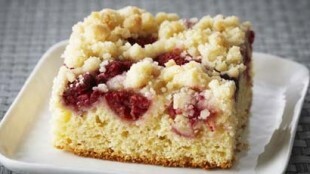 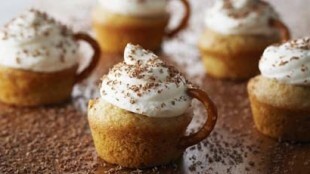 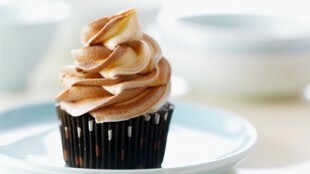 In episode Coffee Cakes of TV show Bake with Anna Olson prepares Anna Olson recipe for Mini Cappuccino Cakes. 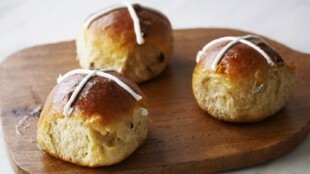 In episode Rolls & Buns of TV show Bake with Anna Olson prepares Anna Olson recipe for Anna Olson's Hot Cross Buns. 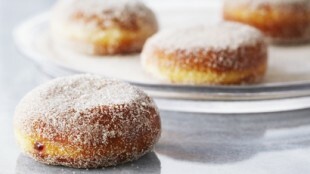 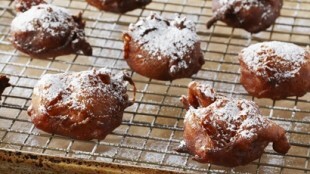 In episode Doughnuts of TV show Bake with Anna Olson prepares Anna Olson recipe for Raspberry Jelly Doughnuts. 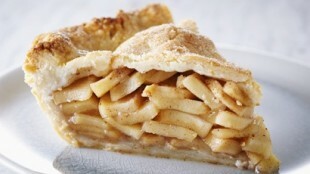 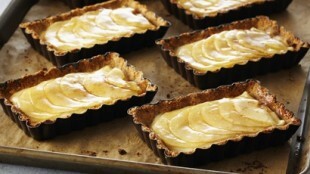 In episode Flourless Pies & Tarts of TV show Bake with Anna Olson prepares Anna Olson recipe for Flourless French Apple Tarts. 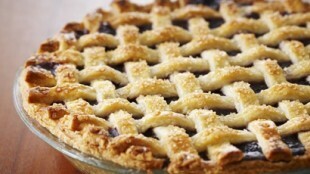 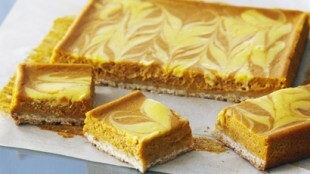 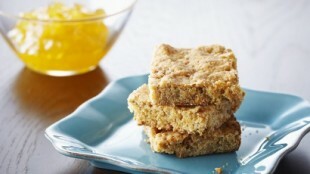 In episode Flourless Pies & Tarts of TV show Bake with Anna Olson prepares Anna Olson recipe for Flourless Shortbread with Apple Pie Preserves. 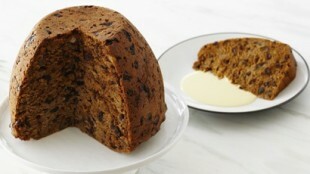 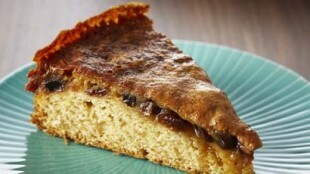 In episode Steamed Puddings of TV show Bake with Anna Olson prepares Anna Olson recipe for Grand Plum Pudding. 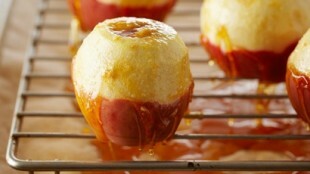 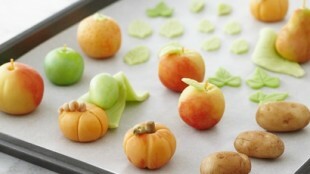 In episode Steamed Puddings of TV show Bake with Anna Olson prepares Anna Olson recipe for Marzipan Fruits. 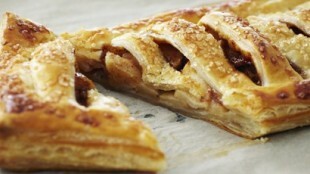 In episode Strudel of TV show Bake with Anna Olson prepares Anna Olson recipe for Cabernet Poached Pear and Walnut Strudels. 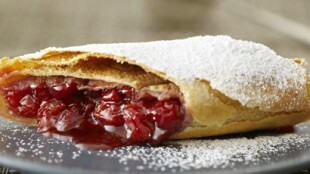 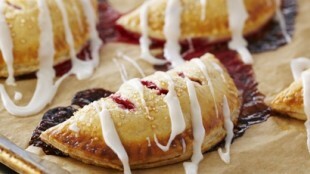 AIn episode Strudel of TV show Bake with Anna Olson prepares Anna Olson recipe for Classic Cherry Strudel.